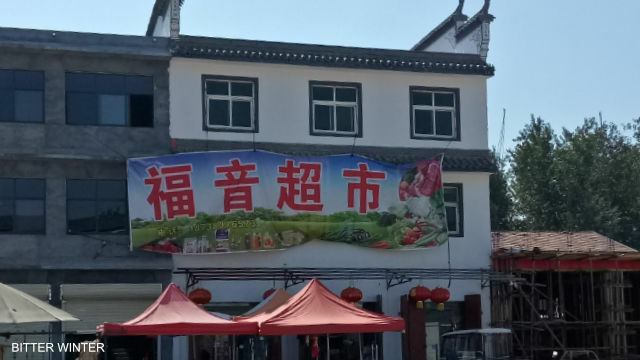 Authorities in Henan are coercing the owners at commercial establishments such as hotels and supermarkets to remove the signboards or face consequences. Bitter Winter has already reported about the demands by authorities to remove the signs with Christian and Islamic names from commercial establishments across China. 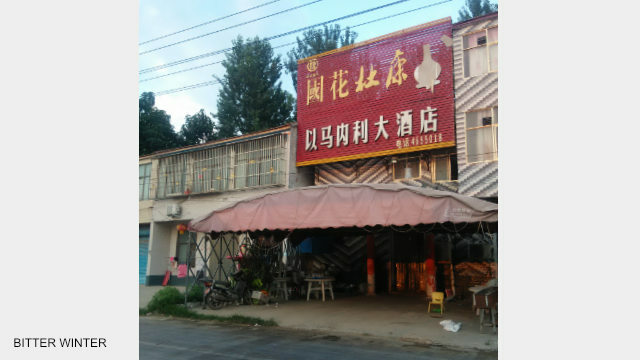 Such incidents are becoming even more common in Henan, where many shops were recently shut down for having words like “Hallelujah” or “grace” in their establishment’s name. The campaign to remove the signboards is being implemented as part of a special drive against religious faith, which was launched in April. Other activities of the campaign also include the promotion of the new Regulations on Religious Affairs to the clergy, believers, and students as well as anti-religious propaganda in mainstream and social media. 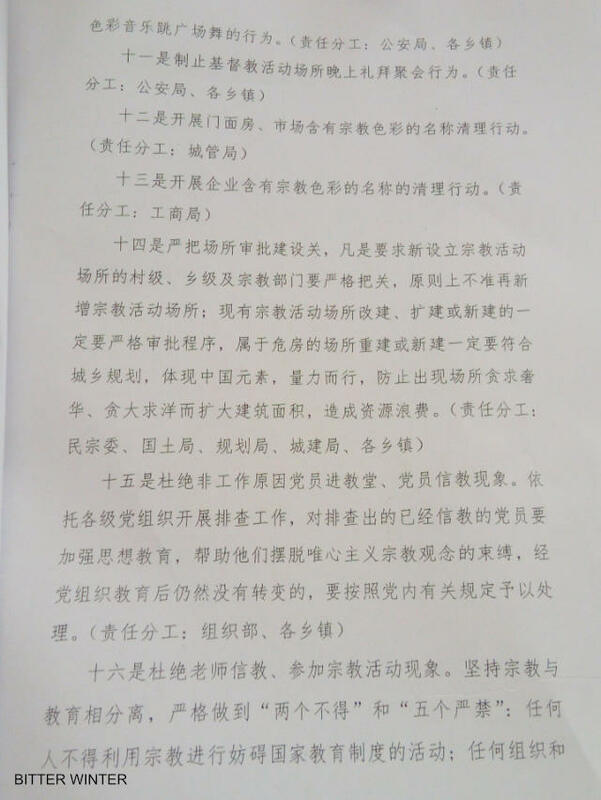 A document from Xiayi county in Henan regarding a special crackdown campaign against religious faith. 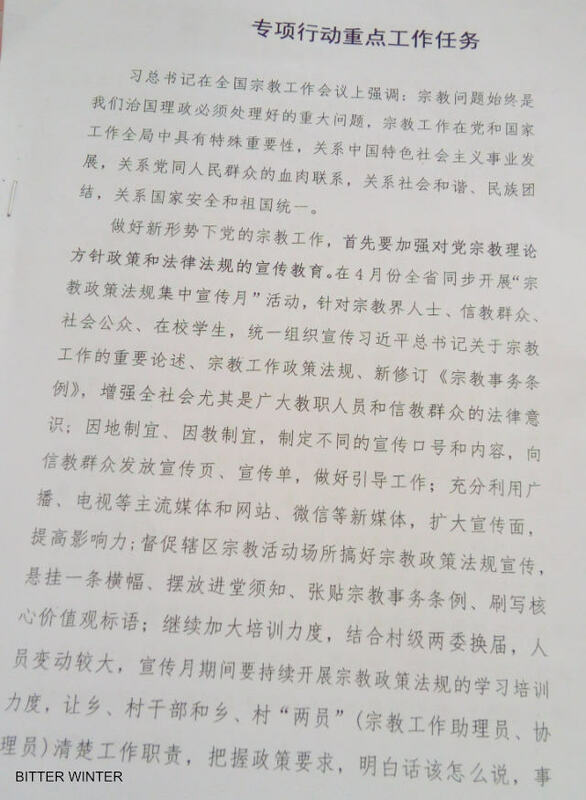 A document from a county in Henan province regarding a special crackdown campaign against religious faith. 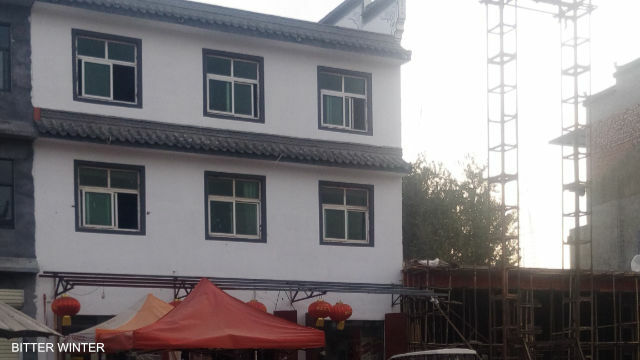 Two months before this, police officers forced the owner of a hotel in Yucheng county to remove the word “Immanuel” from its signboard. Video: The hotel’s signboard being removed. As Bitter Winter reported earlier, households that depend upon government welfare are now expected to put up portraits of Chairman Mao and President Xi Jinping as per orders in some cities of Henan.